Good technique requires maintenance! The Lifetime Warmup is how it’s done. 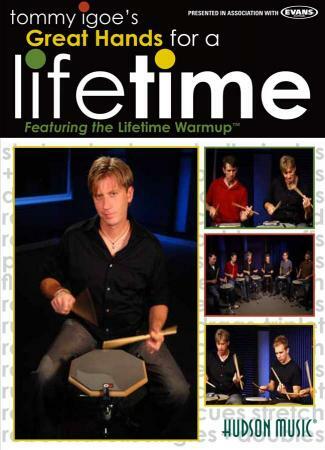 This incredible workout weaves the standard drum rudiments with original exercises to maintain your technique as well as inspire and challenge you for decades. Use it as a warmup before a gig or as a kickoff to an intense practice session. Use it for anything you want; it’s designed to fit your needs. Watch Tommy and group of five drummers play through the routine and see how this approach molds itself to each set of hands. Designed for drumset players to play better, faster and healthier for a lifetime of pain-free drumming!